Aside from simply being the capital of Georgia, Atlanta is a hotbed for many things, from business to its vast culture of art, theatre, and music. When you combine this with the many sporting events and scenic attractions, you have a city with many places to go. Auto Credit Express has helped hundreds of thousands nationwide, and that means that we have a solid network of dealers and lenders to help those in Atlanta. From Buckhead to Downtown, you can be sure that we have dealers that can help you in your local area. Bad things happen to good people. Wherever you go, this is a fact, and it's no different for those who have fallen on hard times in Atlanta. Fortunately, for those with bad credit, there are ways to get auto financing that don't completely focus on your credit score. Trying to get auto financing with a FICO score of 620 or lower can be difficult to downright impossible if you don't know where to look. In addition to that, constant denials only serve to push your score down further. What you need is a lender that will look deeper into your financial situation, one that understands that you are trying to make things better. 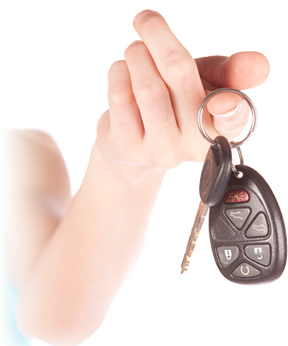 Auto Credit Express helps you find that second chance. Bankruptcy can be a blessing and a curse. On one hand, you are able to cure your debt woes and on the other, it leaves a black mark on your credit for years. In the case of a Ch. 7 bankruptcy, the slate is wiped clean, aside from certain debts such as tax and student debt. In the case of a Ch. 13, you are repaying your creditors a portion of the debt over the course of 3 or 5 years. Bankruptcy can leave you with tarnished credit for 7 to 10 years, and during this time, you may need to find auto financing. Many lenders will be hesitant to work with you, but Auto Credit Express has a team dedicated to helping you find the lender or dealer that will approve you for bankruptcy auto financing. All you need are your discharge papers (Ch. 7) or approval from your court trustee (Ch. 13). You want to rebuild your credit, and we want to get you there. Average Miles: 1086 446 are for sale right now! Average Miles: 1431 222 are for sale right now! Average Miles: 22664 208 are for sale right now! Average Miles: 6341 171 are for sale right now! Average Miles: 8235 162 are for sale right now! Average Miles: 20156 143 are for sale right now! Average Miles: 38350 128 are for sale right now! Average Miles: 45840 123 are for sale right now! Average Miles: 36737 121 are for sale right now! Average Miles: 40133 118 are for sale right now! For those who are looking for flexible auto financing in Northwestern Atlanta, one type of dealer you may have heard of is a Buy Here Pay Here dealership. This name comes from the fact that you drop your payments off at the dealership. 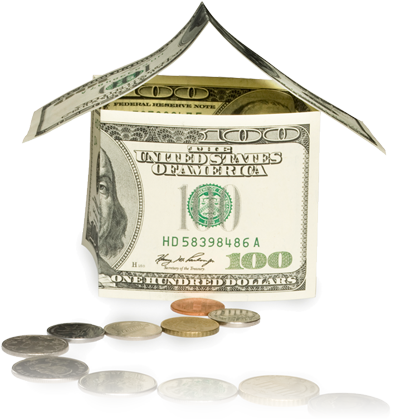 BHPH lots can definitely work in your favor if you are having trouble getting financed. Because they do their own financing, these Atlanta in house dealers can look to other factors in your finances besides your credit score. They will look at your income and employment information instead of your credit history to determine your approval. After you and the dealer have come to an agreement on what you can afford, you go out to the car lot to select a vehicle. Once you have found the car that best fits your budget and needs, you will make weekly, bi-weekly or monthly payments for a fixed term. They will work your payment dates around your pay schedule so that you simply pay them on the days you get paid. However, since most of these dealers work independently, you should be careful of who you are working with. Auto Credit Express can help you find legitimate auto dealers in the Northwestern, Southwestern and Buckhead areas that can help you in the best way possible. A Rent to Own agreement allows you to pay for a car on a weekly, biweekly or monthly basis for a set amount of time. A portion of your monthly payments will go towards the principal balance of the car you are driving, and you have the option of buying it at the end of the rental term. However, if you switch vehicles, any money you have put into the previous vehicle will be lost. Non-committal agreements such as this come at a high cost to you and the cars usually come with GPS trackers and Kill Switches so the dealers can recover the car if you become delinquent in your payments. Since car leases are often less expensive than taking on a new car payment, people may think about using this purchasing option when they have damaged credit. There is only one problem with this approach: you have bad credit. When you lease, the best - and most worthwhile - offers are only for those who have a stellar credit history. So, what you really need is a dealer who has a strong knowledge of bad credit financing to help you navigate what is and isn't possible. Because we've been working with subprime financing dealers for so long, we can help connect you wit the people who will give you the best chance of getting on the road in the most affordable vehicle possible.